He had just 10 weeks left to serve in Kerobokan. Shaun Davidson was jailed for one year in 2016. Australian prisoner Shaun Davidson has escaped from Bali's Kerobokan jail, according to reports. Davidson was one of four prisoners who escaped through a tunnel they dug underground. Nine News, Fairfax Media and News Corp reported Davidson's escape, with News Corp sharing a picture of the purported tunnel outside the prison boundary. 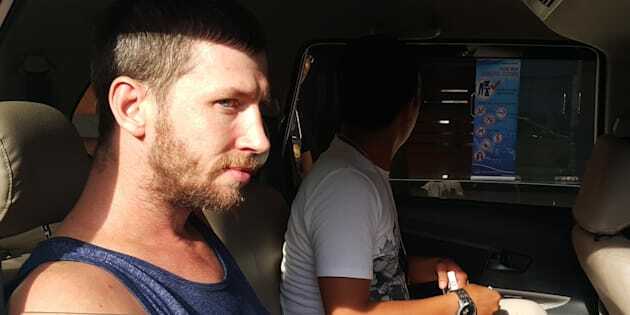 "The Department of Foreign Affairs and Trade has been advised by Indonesian authorities of an alleged escape from Kerobokan Prison of several prisoners, including an Australian man," told HuffPost Australia. Davidson was jailed for a year in 2016 for using another man's passport. He had only 10 weeks still to serve of his sentence, according to Fairfax.